Roderick Keith Ogilvy "Rory" Bremner, FKC (born 6 April 1961) is a Scottish impressionist and comedian, noted for his work in political satire and impressions of British public figures. He is also known for his work on Mock the Week as a panellist (for Series 1 and 2), award-winning show Rory Bremner...Who Else? and sketch comedy series Bremner, Bird and Fortune. Bremner was born in Edinburgh, the son of Major Donald Stuart Ogilvy Bremner (1907–1979) and his second wife Ann Simpson (1922–2001). He has an older brother and an older half-sister (from his father's first marriage). Bremner was educated at Clifton Hall School and Wellington College, and then studied Modern Languages at King's College London, graduating with a degree in French and German in 1984. In 2009, Bremner was the subject of the series Who Do You Think You Are? in a quest to research about his father, whom he barely knew. His father had served in the 1st Battalion, East Lancashire Regiment during the Second World War and was often away from home. Bremner travelled to 's-Hertogenbosch, the Dutch city liberated by the East Lancs, amongst other places to retrace his father's footsteps. Together with his brother, they traced their father's ancestry and discovered that their great-grandfather John Ogilvy had served as a "surgeon general" (equivalent of the present-day senior Royal Army Medical Corps medical officer) during the Crimean War and was later posted to various British colonies. While at university, he worked on the cabaret circuit in the evenings and was also active in a student drama club. He first came into the limelight in 1985, when his single, "N-N-Nineteen Not Out" (released under the name of the Commentators) became a hit in the British charts. It was a parody of Paul Hardcastle's number one hit, "19", with Bremner impersonating cricket commentators, including Richie Benaud, John Arlott, and Brian Johnston, and replacing references to the Vietnam War with references to the England cricket team's disastrous 1984 home series against the West Indies, in which the England captain David Gower had averaged 19. Bremner contributed to And There's More, Spitting Image, and Week Ending, and by 1987 he had his own BBC 2 show, Now – Something Else. He later moved to Channel 4 with Rory Bremner, Who Else? where his output became more satirical and the sporting commentators gradually came to represent a smaller proportion of his repertoire. Having teamed up with veterans John Bird and John Fortune, he hosted Bremner, Bird and Fortune, which (along with its predecessor Rory Bremner, Who Else?) won numerous awards. Occasional one-off specials were also shown, with Bremner impersonating Tony Blair, Gordon Brown and various other government figures. In the 1990s he became a semi-regular cameo turn on the Channel 4 improvisation show Whose Line Is It Anyway? and in 2005 he was a team captain on the BBC Two improvisational satire show Mock The Week. Bremner now regularly performs on Sunday AM, impersonating politicians, with a review of recent political events. He has also presented a BBC Radio 4 series, Rory Bremner's International Satirists, in which he talks to comedians and impressionists from other European countries. In September 2009, he presented a BBC Four documentary, Rory Bremner and the Fighting Scots, about the history of Scots serving in the British Army. In the run-up to the 2010 UK General Election, he performed a 20-date Election Battlebus Tour, his first stand-up comedy tour in five years. Bremner has translated three operas into English: Der Silbersee by Kurt Weill, Carmen by Georges Bizet, and Orpheus in the Underworld by Jacques Offenbach. In April 2007, he took part in The Big Brecht Fest at the Young Vic Theatre in London celebrating the work of German dramatist Bertolt Brecht, where a series of newly translated versions of some of Brecht's short plays were performed. One of the plays—the short comedy of manners A Respectable Wedding—was newly translated by Bremner, who also penned the title to the series. His translation drew a positive reception from critics, although it did draw the ire of some for the removal of any class conflict edge to the play, directed by Joe Hill-Gibbins as a squirming farce that relies heavily on the comic value of embarrassment. Bremner took part in the 2011 series of Strictly Come Dancing. His dance partner in the series was Erin Boag and they were eliminated 3rd,[clarification needed] on 23 October 2011. In 2012, Bremner appeared on the BBC Four programme, The Story of Light Entertainment, in an episode about impressionists. In January 2013, he began hosting a new Channel 4 quiz show, Face the Clock. In 2013, Bremner presented Rory Goes to Holyrood, a one-off show for BBC Scotland that takes a satirical look at Scottish politics and the independence referendum. The programme was announced in March 2013, with plans for it to be aired later in the year. In a BBC press release for the show, Bremner spoke of his reasons for recording the programme. "Coming back to Scotland in the run-up to the Referendum, I realised I knew almost nothing about Scottish Politics. Time I did. And why is there so little political comedy in Scotland outside the Parliament? Time to make sense (and nonsense) of it all." The programme featured Bremner presenting a one-off stand-up routine at Edinburgh's Assembly Hall, airing on 13 June 2013. Bremner subsequently called for there to be more satire in the referendum debate: "There's great humour to be had. There's a lot of big, different characters involved and good arguments, and there are plenty of good Scottish comedians who can have plenty of fun with it. It's far too dangerous to leave it only to the politically minded." 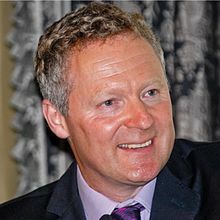 In 2015, he returned to TV comedy with two political satire programmes on BBC Two: "Rory Bremner's Coalition Report", a satirical summary of the previous five years in British Politics, and the "Election Report", a satire of the 2015 General Election. Bremner is patron of the London-based drama school Associated Studios. Bremner currently serves as a team captain on the ITV comedy panel show The Imitation Game, a panel show hosted by Alexander Armstrong and based around impressions. Bremner was awarded Honorary Life Membership of King's College London Students' Union in the early 2000s. In 2005 he was made a Fellow of his alma mater King's College London. Additionally, he was awarded an honorary fellowship by Queen Mary, University of London in 2008. He was placed at 49 on ITV's list of TV's 50 Greatest Stars, and in 2008 received the James Joyce Award of the Literary and Historical Society. In a 2001 interview, Bremner expressed his disillusionment with the premiership of Tony Blair, despite being initially optimistic about him. He said: "When I first met Tony Blair in 1996, he was open and idealistic, keen to bring a breath of fresh air to government. But something happened – was it just the arrogance of power? – that narrowed Labour's vision from purposeful reform and investment, to peevish and petulant pragmatism." However, he remained an outspoken critic of the Conservative Party, saying: "How dare they look at the railways, the schools, the hospitals, and say the priority is tax cuts?" Bremner supported Reg Keys in the 2005 general election when he stood against Tony Blair as an anti-war candidate. Bremner opposed Scottish independence in the 2014 referendum, arguing that "social justice, a fairer society and the NHS don’t stop at the border" and that people should "fight for those things within the Union". He was also one of several celebrities who endorsed the parliamentary candidacy of the Green Party's Caroline Lucas at the 2015 general election. In August 2018, Bremner spoke at a People's Vote rally in Edinburgh. People's Vote is a campaign group calling for a public vote on the final Brexit deal between the UK and the European Union. Bremner's first marriage was to Susan Shackleton, a teacher, in 1987; the couple divorced in 1995. On 11 September 1999, Bremner married Tessa Campbell Fraser; they have two daughters. Bremner speaks French and German and studied Russian at O-level. ^ a b c "Rory Bremner". Who Do You Think You Are?. Wall to Wall for BBC One. 2 February 2009. No. 1, series 6. ^ "No one's safe from his satire". independent.co.uk. 7 December 1997. ^ "Bremner's Unique King's Performance". kcl.ac.uk. 19 October 2007. Archived from the original on 20 March 2009. ^ "News & views – KCL Alumni Online: Rory Bremner". 23 March 2010. ^ "West Indies in England, 1984 – Test Averages". Cricinfo. Retrieved 2 February 2009. ^ "BBC – Press Office – This Is Scotland press pack". BBC. ^ "Rory Bremner – Election Battlebus Tour". The Stage. ^ "Rory Bremner: Making a new impression". London: The Independent. 25 July 2005. ^ "Orpheus in the Underworld". Scottish Opera. Archived from the original on 6 March 2012. Retrieved 1 April 2012. ^ Andrew Marr (21 November 2011). "Rory Bremner, Peter Kosminsky, Iwona Blaswick, Sarah Gillespie". Start the Week podcast. BBC. Retrieved 25 November 2011. ^ "Strictly Come Dancing signs up Lulu and Edwina Currie". BBC News. British Broadcasting Corporation. 6 September 2011. Retrieved 6 September 2011. ^ "Rory Bremner puts Scottish politics under satirical spotlight". BBC Media Centre. BBC. 27 March 2013. Retrieved 30 December 2013. ^ Rudden, Liam (12 June 2013). "Rory Bremner talks Scottish politics in Rory Goes To Holyrood". The Scotsman. Johnston Press. Retrieved 30 December 2013. ^ "Scottish independence: Rory Bremner in comedy call". The Scotsman. Johnston Press. 28 December 2013. Retrieved 30 December 2013. ^ "Associated Studios – Musical Theatre Courses London". ^ "Alumnus Rory Bremner made King's Fellow". kcl.ac.uk. 11 August 2005. Archived from the original on 23 March 2009. ^ "HERIOT-WATT UNIVERSITY NEWS: SUMMER 2011" (PDF). Archived from the original (PDF) on 11 April 2016. ^ Jones, Chris (8 June 2001). "Rory Bremner: Finding his own voice". BBC News. Retrieved 23 July 2015. ^ Sheppard, David (2015). On Some Faraway Beach: The Life and Times of Brian Eno. Orion. ISBN 978-1409157625. ^ Bremner, Rory (11 September 2014). "Rory Bremner on Scottish independence: Why this proud Scot has a very big but..." The Daily Telegraph. Retrieved 23 July 2015. ^ Staff and agencies (18 August 2018). "People's Vote backers rally in Edinburgh for say in final Brexit deal". The Guardian | Edinburgh. Retrieved 19 August 2018. ^ "An Evening with Rory Bremner". News. King's College London. 24 July 2007. Archived from the original on 13 August 2007. Retrieved 16 November 2008.